Client: Chicago Foodseum, the city’s first food museum. 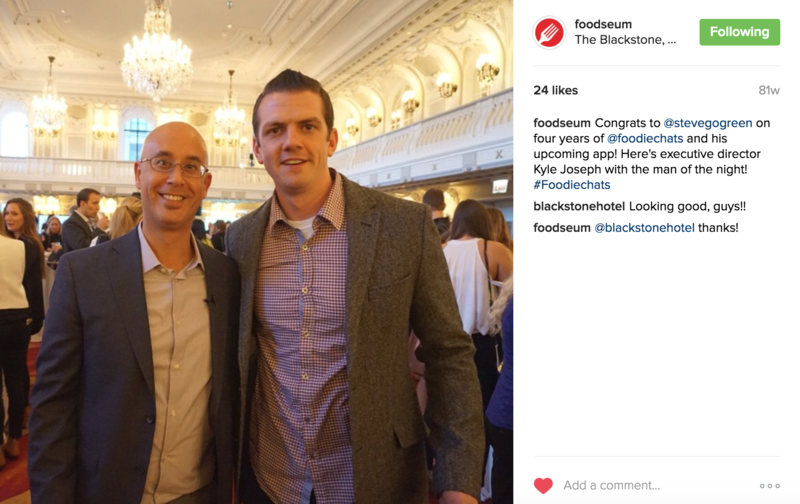 Background: I began working with Foodseum during their Kickstarter campaign in December 2014 until their first temporary pop-up exhibit ended in December of 2015. I acted as Director of Marketing in a freelance capacity during this time. 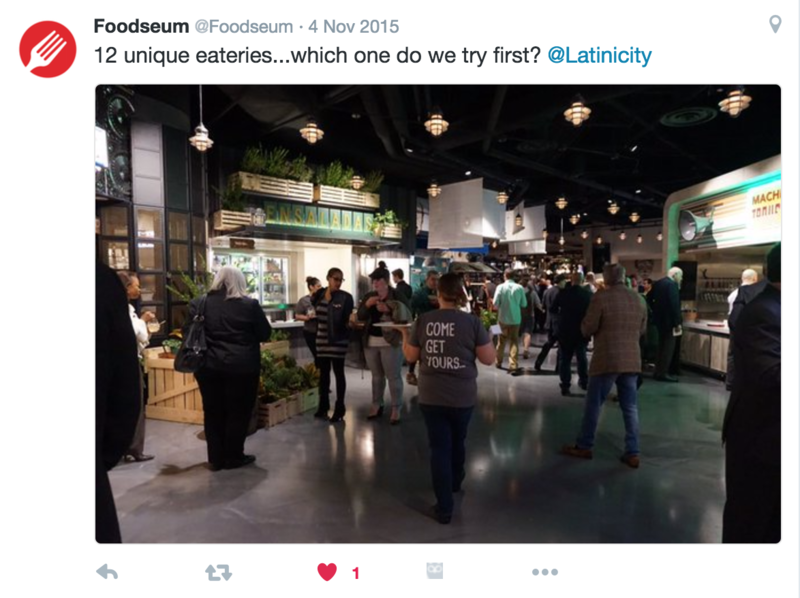 Needs: To increase our social following, we strategically chose food events around the city to cover from our various Foodseum social media accounts. Not only did we get thousands of new impressions thanks to retweets and shares, but we also built relationships with influencers around the city and within the industry, and established ourselves as knowledgable experts in the industry. Generated tens of thousands of impressions within 60 minutes on Twitter, Instagram, and Facebook thanks to retweets from huge influencers like Rick Bayless, Andrew Zimmern, The James Beard Foundation, Curtis Stone, Rahm Emanuel, and more. Instantly shared high-quality photos with a wifi-enabled digital camera over Twitter, Instagram, and Facebook with appropriate hashtags and influencer handles. While all of the newscasters were sharing video coverage, we were the only ones taking photos. Our images were constantly liked and retweeted. Covered the grand opening of Latinicity, a chef-driven food court in Chicago, which was also attended by local food influencers. Coverage included high quality photos of the dishes as well as culinary descriptions of each item. 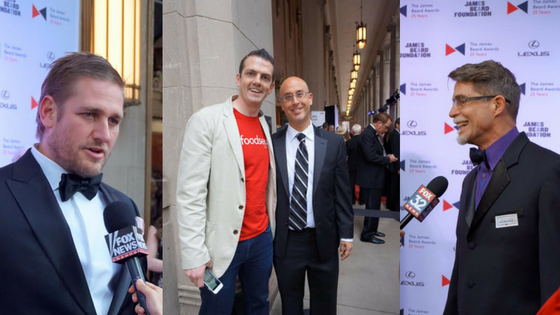 Covered the live in-person #FoodieChats event, organized by major food influencer Steve Green. 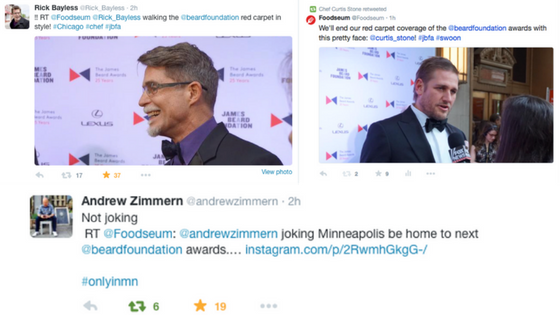 Coverage included participating in the online Twitter chat as well as sharing photos and tweeting, Instagramming, and tagging the various food partners in attendance.